Khushwant Singh’s biggest attribute is that he speaks what he feels. He is honest to the extent that he offends even his friends and icons revered by people. He brought history to our doorsteps. The narrative is a telling of some true or fictitious event or connected sequence of events, recounted by a narrator to narrate, although there may be more than one of each. A narrative will consist of a set of events (the story) recounted in a process of narration or discourse, in which the events are selected and arranged in particular order (the plot). The category of narratives includes both the shortest accounts of events and the longest historical or biographical works, diaries, travelogues, as well as novels, ballads, epics, short stories, and other fictional forms. Literally speaking, the narrative is a story and it can be conveyed through pictures, songs, poetry, speech, fiction, non–fiction as well. Narrative discourse is vastly an aesthetic enterprise. It is a binding vine of the narrative. A narrator detains the past, holds present and prepares the reader for the future. There has been much exaggeration in the narrative techniques since 1938 when Raja Rao’s ‘Kanthapura’ is published. It is perhaps the first most successful and influential novel by an Indian writer in English. Key Words: Mano Majra, Narrative, Punjab, Train to Pakistan. Train to Pakistan has a fine blending of growth in space and movement in time. The novel grows out of a chronological sequence of time with a synthesis of reality and value. It expresses creatively as to how the movement of trains, which used to set a tone of the village, signaling time for action, rest and sleep, became a symbol of despair, darkness, and destruction. This technique of contrast is very suggestive. The novelist has recreated imaginatively the likes of Hukum Chand, the commissioner, reformist, Iqbal, criminals Juggat Singh and Malli gang, still visible in the Indian society. In moneylender Ram Lal’s murder case Jugga and Iqbal are put behind the bars, while the real culprit Malli is released after arrest. Is such a drama not enacted even today? Also, the lodging together of Jugga, the criminal, and Iqbal, the reformist, gives a peep into the police way of functioning then and even today. “Three levels of Governmental strata are depicted. The novelist had maintained a balance in condemning atrocities on both sides. As a realist in his factual depiction of the violent scenes, he narrates the story of four Sikh Sardars on a killing spree in a jeep alongside the column of mile-long Muslim refugees on foot. Singh in this novel has also artistically explored the mind of the Sikh priest Meet Singh and the reformist Iqbal, who discuss the urgent need for stopping the communities on the Indian side from taking retaliatory actions by blowing the train heading for Pakistan with Muslim refugees from Mano Majra on the railway overbridge mid-river. Meet Singh is helpless and so is the reformist Iqbal as the voice of sanity had been stilled and drowned in the communal frenzy, provoked and ignited by arrival and disposal of trainloads of the slain bodies from across the borders. Both Meet Singh and Iqbal in the given situation find themselves incapable of any positive action and also find themselves out of place. Singh mixes Hindi words in his narration to reinforce the impact of his narrative. He has made typical usages bordering on bad English. Urdu-Hindi words such as Salaam, Kalyug, Kos, Nar Admi, Annas, Karmat etc. On the strength of the above, it may be said that in his narration of the story, Singh had followed humanistic and realistic tradition in the Indo-English Literature. Khushwant Singh proves his own identity through his writings. He created most of the characters in his novel were real people when he met. His novels reveal about a lot of social problems during the partition of India-Pakistan. Singh emphasizes his narrative ability to the readers. The study of Singh’s novels has been a highly fascinated Endeavour resulted in making not a good man know really on endearing man to know. Singh, Khushwant. Train to Pakistan, New Delhi: Orient Longman Pvt. Ltd., 2006, Print. Shahane, V. A. Khushwant Singh, New Delhi: Twayne Publishers, 1972, Print. Toolan, Michael J., Narrative: A Critical Linguistic Introduction, London: Rutledge, Second Edition, 1997, Print. 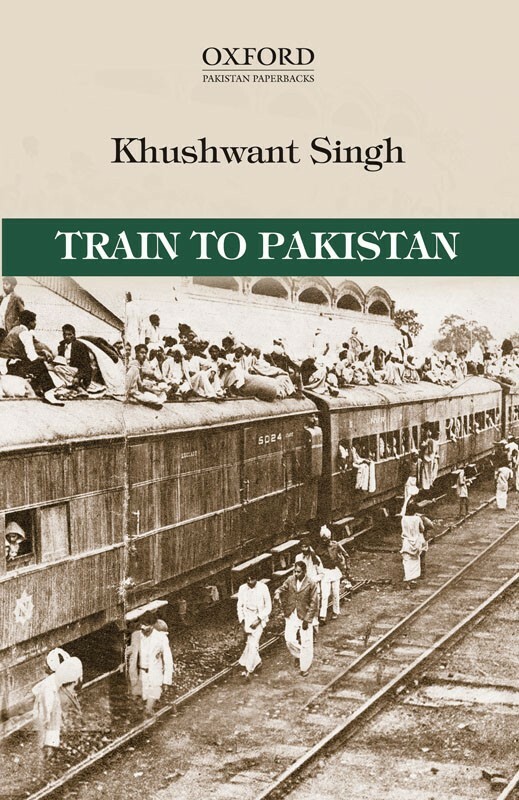 “Train to Pakistan” is the most well-known classic novel of the Indian author and journalist Khushwant Singh. This novel is a faithful record of how human disaster has taken place during the gruesome period of Indian partition in 1947. As far as the author of this research article is concerned, she brought the main characters and important events of this novel into our attention lucidly. Some significant passages of the novel are highlighted in this article, which gives a realistic feeling of reading the original novel directly. These are appreciable aspects of this analysis. However, the narrative discourse and the narrative technique sections, keep repeating the same information over and over again which bring down the interest of reading this article. To improve this research article, unwanted repetitions should be avoided, grammar and typos should be checked as well.